5 Star Google review: I have four kids, so I have bought several used cars. Once I find a model I like, I do a lot of online comparisons so I know a fair price. 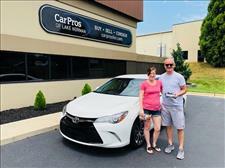 Steve and Wendy sold me a 2014 Camry at a good price and they made the process really smooth. Their online presentation of vehicles is awesome. No surprise dents or scratches upon arrival and the car histories are very well documented. 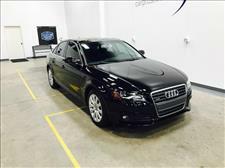 When buying a car with higher mileage its nice to have confidence that the seller is offering a well maintained vehicle. Pro Cars did this for me, so I made the purchase. Worth the drive to deal with them. 5 Star Google review: Great place to sell a car. 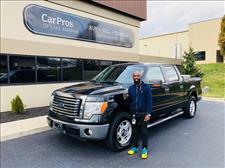 I had my vehicle listed on Autotrader and eBay for 2 months. Tons of scammers and few real interested buyers. 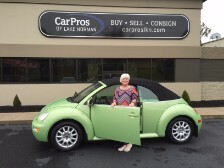 Dropped off the car with Car Pros of Lake Norman and it was sold in 11 days. The owner is great and even met me on a Sunday afternoon to take in the vehicle(which Carlotz in Charlotte would not do). 10 out of 10. 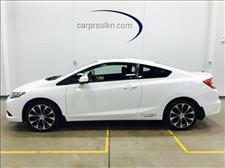 Great selection of used cars too I’ll definately be talking to them next time I need a vehicle. 5 Star Google review: Very nice easy and uncomplicated Service. Love the car! 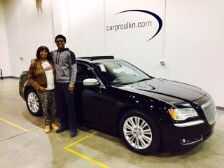 5 Star Google review: Purchased my son’s first car from Wendy and Steve. Such a great experience. No pressure and easy to work with. Family atmosphere and even supplied us with a Big Red Bow! Filmed the whole presentation for us. Definitely recommend no matter what age you are buying for. Oh yeah - car is awesome too! Thank you! You and your wife are amazing! 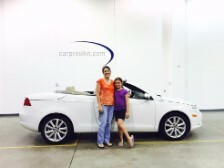 Seriously the BEST and easiest car buying experience we have ever had! We love shopping "small" local businesses as much as possible and feel lucky to have found yours. You have two new forever customers!!! 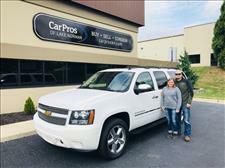 5 Star Google review: My husband and I purchased a car from CarPros yesterday and it was BY FAR the best car buying experience we have ever had. They had an awesome selection of high quality and very clean cars. The owners are so nice and helpful. The waiting time was minimal and the atmosphere is very comfortable and inviting. 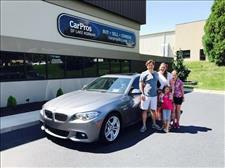 We highly recommend CarPros!!! I just want to say THANK YOU for making this possible for my wife. She absolutely loves the Buick! You guys were extremely helpful and super nice. Whenever I get ready for my next car purchase, ya'll will be the first people I come too! Thanks! You guys have a nice family and business. 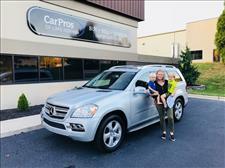 You both made the buying experience more of a pleasure rather than the pain you usually deal with at typical car dealers. Thanks again!!! 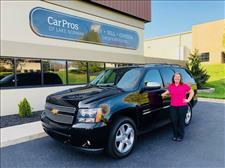 5 out of 5 stars CarGurus review - Very nice setting and so much better than dealership. Husband and Wife team. They made everything easy, and the car was in perfect condition. Buying from you guys was a great experience and will definitely recommend. 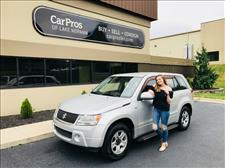 5 out of 5 stars CarGurus review - Very low pressure sales people and very helpful, almost like buying a car from your best friend. 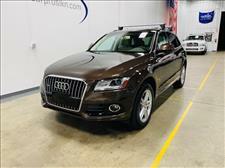 This is the first time buying a car from a indoor car lot, Car was just as advertised, very clean. 5 out of 5 stars CarGurus review - Quite the pleasure and would buy again. 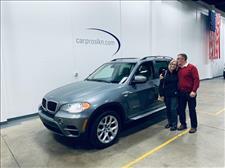 Matter of fact, will be back in the near future to buy another hand picked car from Steve and Wendy. Definitely two experts in their fields. 5 Star Facebook review They made it so easy I did not feel rushed or pressured in anyway. The reviews speak for themselves but I walked away rather, I drove away, with a reliable vehicle that I love and feel so safe in. Thanks for making the process so easy. 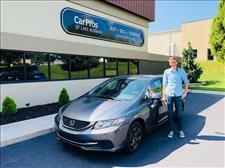 Thanks again for a great car buying experience I had yesterday! Thank you so much! You guys are amazing to work with! We are very excited, thank you for all your help and being patient with us. 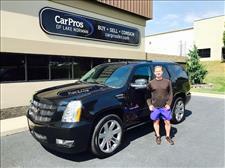 5 out of 5 stars CarGurus review - Great folks and well run. Was able to get everything done very quick..will return for future needs! 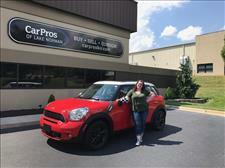 5 Star Facebook review: Great folks to work with, I have bought a lot of cars form the time I was 18, but this was the best buying experience so far. From the time we got there to the time we finished was just two hours. 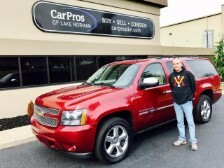 5 Star Google review: Awesome place Steve and his wife are the best a very good place to buy a great vehicle. 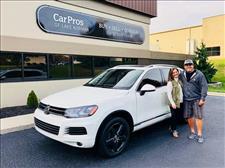 Best car buying experience ever! Pleasure meeting you & Wendy! 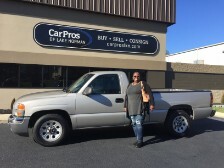 5 out of 5 stars CarGurus review - I actually bought this vehicle..they were extremely nice and professional..would recommend this place to the whole world if I could. 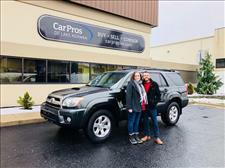 Thank you Car Pros for a great car buying experience. 5 Star Google review: This business is very customer oriented. 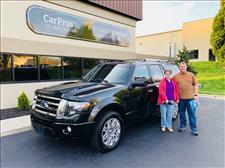 The vehicle was as advertised, fairly priced, Steve was very responsive to any questions or concerns, and Wendy made the paperwork effortless. Highly recommend. Have a very Merry Christmas to you & your family. 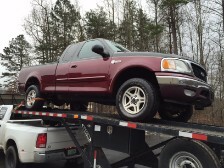 I'm certain we will be doing business again for my husband a lifted SUV or truck. 5 Star Google review: Great trading and buying experience. Quick and easy. No pressure. 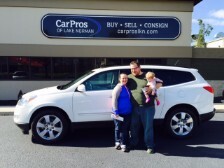 Plus, sold us an SUV with a full tank of gas! Highly recommend. 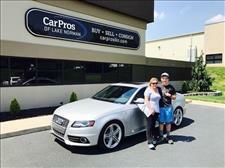 5 Star Facebook review: CarPros was amazing through the whole experience of purchasing of my new car. Extremely friendly and over the top helpful! I was visiting family in Charlotte from Pittsburgh, PA and my car broke down. They literally had me in a new car hours after I test drove it the same day. I love that it is family owned and they operate with the utmost professionalism. I would recommend them to anyone and everyone! I love supporting and doing business with good people! 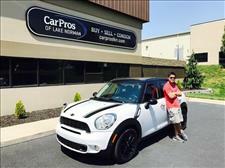 5 Star Facebook review: CarPros is absolutely amazing, we are so stoked !!! 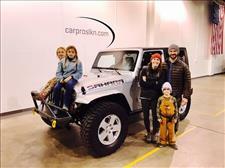 5 out of 5 stars CarGurus review - Let’s just say it was Awesome! From the phone call with Wendy to make an appointment. To Steve greeting us when we arrived and showing us the car inside and out. Giving us the keys and said, Go ahead and take it for a drive. By the way the car was exactly as the information provided on CarGurus. 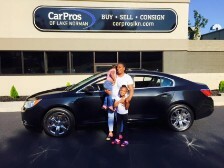 We got the car and at a great price too!!! God answered my prayers. 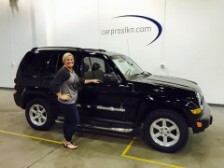 5 out of 5 stars CarGurus review - GREAT DEAL!! GREAT CAR!! 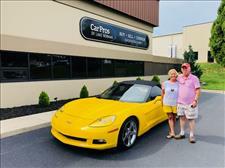 I will definitely be back, when its time to upgrade so don't buy that sweet corvette its mine! 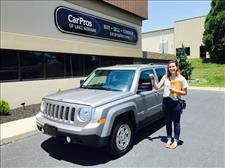 5 STAR Google Review: Car Pros made my first car-buying experience comprehensive and professional. They waited past their closing time to accommodate for my commute and were ready when I arrived. The vehicle they showed me was exactly what was listed in the photos/description on their website--spotlessly polished with not a crumb or hair on the interior. All of the numbers were explicitly stated, and there was no rush to sign anything. 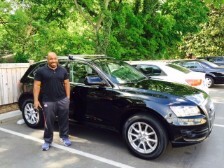 I got a great car + warranty deal. Mr. Gordon, Steve, and Wendy are good people and a pleasure to do business with. Thank you guys! 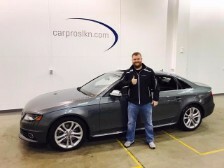 5 out of 5 stars CarGurus review - Great experience and would love to do business with them again! 5 STAR Google review: Easiest vehicle purchase I've ever made. Smooth and efficient. Dealing directly with the owners makes a huge difference. Good people! I would buy from them again and will recommend them to friends. They have it figured out! My wife is off the carts happy! Thank you guys. You have my repeat business when that day comes. Take care! Fabulous drive :) Thank You! Thanks and I love it! 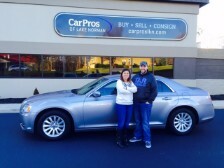 5 Star Facebook review: My husband and I had an awesome experience at Car Pros! 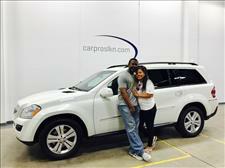 I will recommend Steve and Wendy to anyone I know looking for a car! 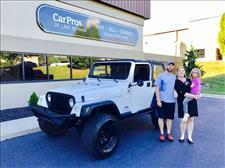 Excellent service and the Jeep was exactly as described online. No hassle and absolutely no pressure to buy! 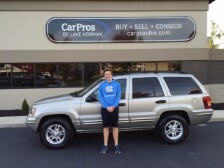 I love my new Jeep!! Thanks again Steve and Wendy, you guys are great! 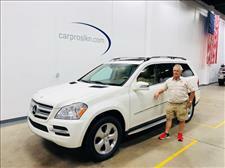 5 Star Facebook review: Thank you for your non-pressure approach to the sale of this vehicle. I wouldn't hesitate to come to you again. Love the car, love, love, love it!!! It's wonderful! Drove like a dream. Thank You. 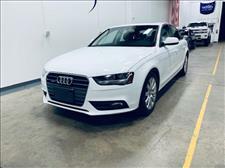 5 Star Facebook review: First off thanks to both of you for making the car buying experience much better than anything I have experienced before. 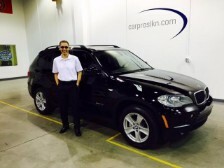 The BMW X5 is awesome. 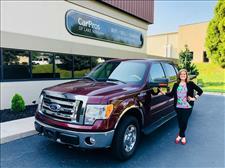 5 out of 5 stars CarGurus review - Overall great experience, no hassling. Free to look around. Cars kept inside so nice and clean on outside and inside. Owner and wife pleasant. No issues, easiest process ever. Thank you for everything, you both were Awesome!! 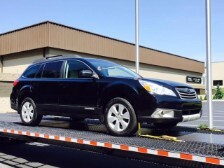 5 Star Facebook review: Easiest car purchase ever! 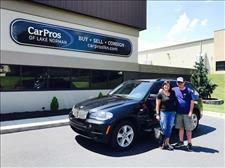 Love the car and everyone at CarPros! Thanks again! Thank you so much we love it!!!! I'm in love with this car it's amazing! 5 Star Facebook review: This has been such an easy & enjoyable process. 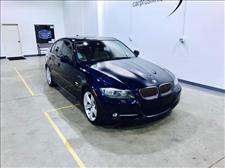 I have my dream car! Thank you again! 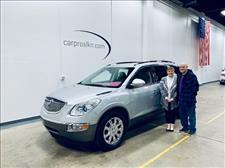 5 Star Facebook review: Thanks to Steve and Wendy, this is by far, the most positive car buying experience I’ve ever had. 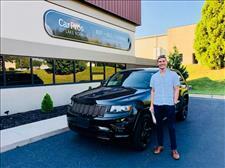 Steve was great to deal with, responding quickly when I called, answering all my questions before driving out there, and overall giving me a great deal on an awesome car! 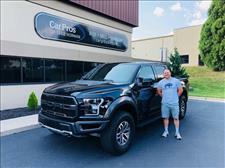 The actual purchase process was a breeze, taking less than 30 minutes, without sitting in a finance office being pressured into buying a myriad of extras that I didn’t need, such as clear coat protection and lo-jack services. Wrapping up with Wendy was a piece of cake, and she clearly explained everything I was signing. 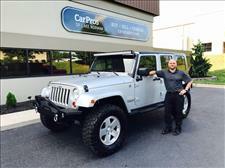 I will gladly make the trip out again to see Steve when I’m in the market for another vehicle. 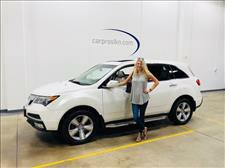 I really appreciate everything you did on this transaction, went very very smoothly. 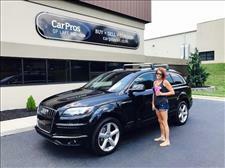 One of the nicest & easiest car transactions I've ever done & I really appreciate it. Thank you so much! It was a great experience!! Haha..what a gnarly bunch. Thank you, we enjoyed it. 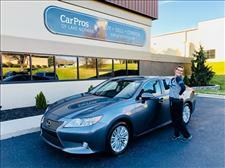 5 Star Facebook review: The folks at Car Pros took excellent care of us. They had the cars we wanted for a great price. Loved the warehouse and how they kept the cars out of the elements... It's the way cars should be sold!!! Must see!!! 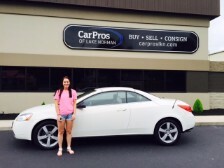 Thank you for a painless and even enjoyable car buying experience! 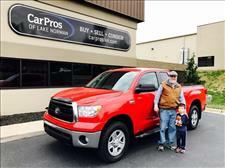 Thanks Steve, it was a pleasure doing business with you and your family. Happy Easter! One of the most pleasant experiences buying a truck, couldn't be happier! 5 out of 5 stars CarGurus review - Very pleasant to work with. It's an awesome car! Thank you so much. 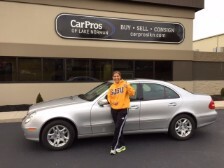 5 Star Facebook review: Absolutely loved dealing with Car Pros!!! 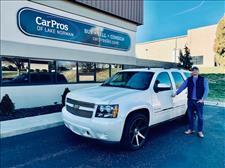 Got my dream Truck thanks to them!! 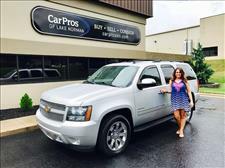 I will be back as my wife is now wanting a new Tahoe...THANKS!!! 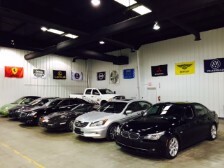 5 Star Facebook review: Excellent place to buy a high end car! 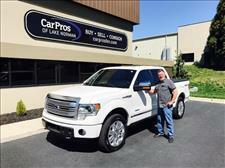 Will be back to purchase another excellent service and inventory selection. 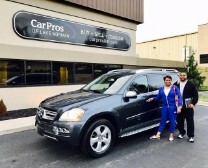 5 Star Facebook review: I truly enjoyed my car buying experience with Car Pros, from the moment I inquired about the car until I drove off the lot with my purchase. 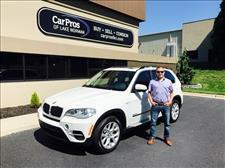 I highly recommend you choose Car Pros for your next Car Buying Experience! These guys are great to deal with. 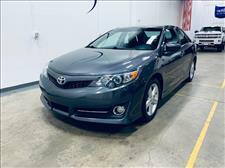 I was on the selling end with a car consigned there but they are super professional and have a great setup for both the buyer and seller. Nice to see honest reputable folks in this business. 5 Star Facebook review: Very easy and personable group to do business with. 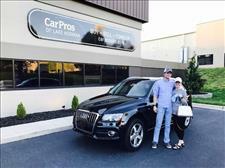 We have purchased twice from Car Pros in the last 6 months. 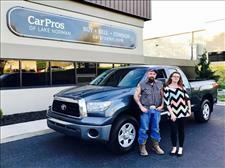 No haggling and they have great relationships with many good lenders. 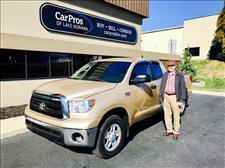 Thank you so much for all you did to help us get the Tundra, we really love it. God Bless you. Thank you for your service in uniform & thanks for today. My wife Sara is elated. 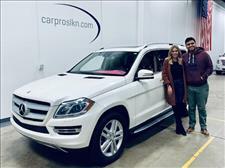 5 Star Facebook review: One of the most unique car buying experiences of my life; treated us like family from the time we walked in the front door until the time we drove away. 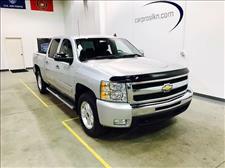 Thinking about buying a quality pre-owned car, truck,or SUV? 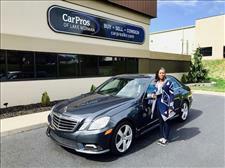 Visit the Car Pros website and call for an appointment for the most personable car buying experience of your life. You'll be glad you did. 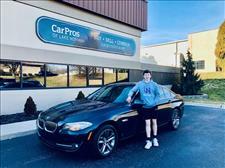 5 Star Facebook review: Never felt pressure to buy the car, they just gave me the keys to go test drive and then check out the car as long as I needed. Prices are very competitive. Nice people too! Thank you guys, it was a pleasure meeting you & I will definitely be sending some business your way. 5 Star Facebook review: Thank you guys! Great people to deal with, Hassle free! 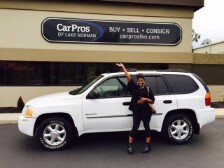 5 out of 5 stars CarGurus review - Great business with extremely courteous team. Awesome inventory - in my case, a great toy store! 5 Star Facebook review: They are very clean and professional. I got a response from them very quick. 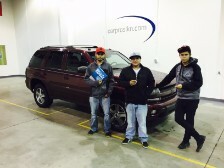 They made me feel very comfortable and confident on my vehicle. I would definitely buy from them again! Had a lovely first day with the new car! Working with Steve and Wendy was a genuine pleasure. You guys were friendly and helpful every step of the way. And how can you not like a car dealership that professes its love for both the North Carolina Tar Heels and the Foo Fighters! 5 Star Facebook review: Thank you for all your help. 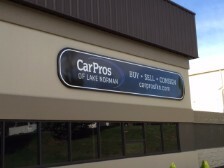 If anyone is considering buying from Car Pros of Lake Norman, you can buy with confidence. 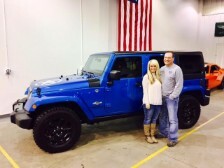 Steve & Wendy are fantastic to work with and they only have top quality inventory. I highly recommend! 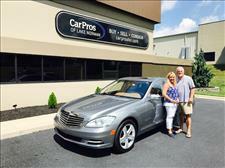 It's nice family owned business they have nice cars at a reasonable price. 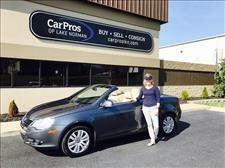 The owners are very nice I would highly recommend car pros of Lake Norman. Thank you all for making the buy process seamless. 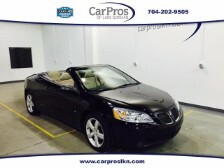 5 Star Facebook review: Sure wish it wasn't raining when I bought my car from car pros because I sure wanted to have the top down. 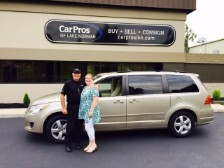 Thank you Wendy and Steve it was great working with you! 5 Star Facebook review: I absolutely, Love This Dealership. Wendy & Steve are AWESOME! ! No pressure. HONEST! Thank you for your service. I pray for your business GREAT SUCCESS. 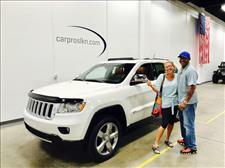 Steve and Wendy gave us the best car buying experience ever. 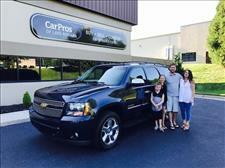 They were extremely knowledgeable, friendly, and easy to deal with. We were never pressured about buying today, although we had planned on it. 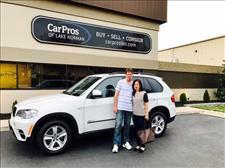 They made the entire process a breeze and so much simpler than the big dealerships. 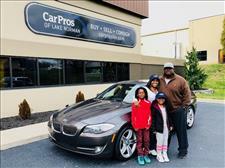 If you want to support a local family owned dealership that treats people like people not like potential sales objectives, this is the place for you. Couldn't be happier. All around a 5 star experience. These people are the best! Wendy & Steve made everything super easy! No pressure, 0 haggle, locally owned! Could not be any happier with our new car, really appreciate their concern for what we wanted. Got an amazing deal! 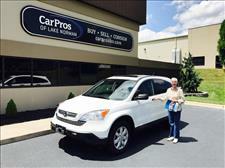 Had a great car buying experience at Car Pros. 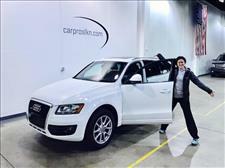 I am enjoying my Audi ride and will spread the news on the great service received from Steve and his staff. Not only did he communicate with me on my vehicle from day one but offered options that worked with my schedule. In addition, I traveled from Columbia, SC and he made sure that everything was ready and waiting. The entire process was completed under an hour and I was back on the road in style. 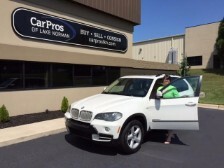 We would like to comment on the outstanding customer service received by Carpros of Lake Norman. 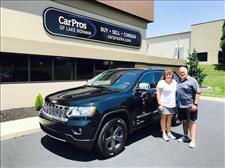 Without a doubt, Steve & Wendy have been the best sales people we have dealt with in many years. 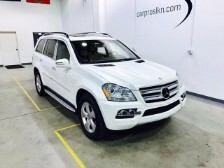 From our first call to them, they were professional and responded to us quickly regarding an SUV we were interested in. We drove quite a way to meet with them and it was worth our while. Everything they did was honest, straight forward and delivered on our expectations. 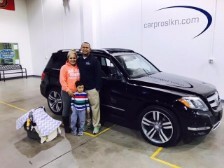 We love our new car! We will return! 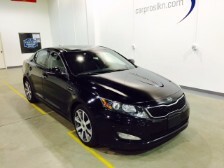 My fiance and i just bought a 2012 Kia Optima and couldn't be happier! 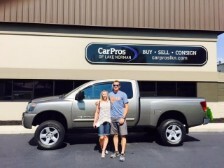 We had such a great experience at Car Pros of Lake Norman. They were friendly, attentive, and patient. We will definitely recommend them to our friends and family and would love to return to them in the future! 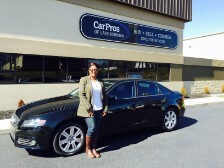 5 Star Facebook review: Absolutely wonderful experience at Car Pros. I would recommend anyone to go visit Steve and Wendy. My wife and I are so happy that we decided to stop by. 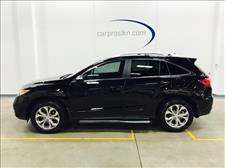 Great price, very friendly experience and plenty of pricing and extended warranty options to choose from. 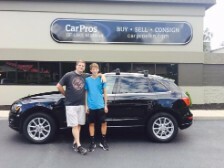 Thank you Car Pros for our new Passat we love it. 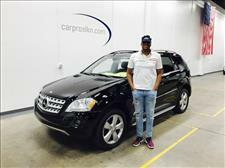 Thank you so much for a great car-buying experience! The boys love the van! 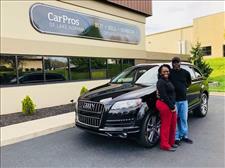 5 Star Facebook review: I recently just purchased a previously owned Audi from Car Pros and their service was outstanding! I was finished in one day and they even dropped the car off at my home. 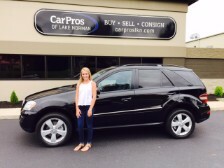 I would highly recommend using Car Pros of Lake Norman for your car purchase and/or sale! Thank you!! I'm in love with this car! 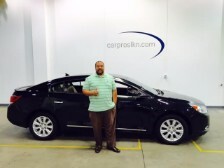 5 Star Facebook review: I really loved the positive atmosphere! I came all the way from Orangeburg SC, which was about 2 1/2 hrs away. I got there and walked into this beautiful establishment...and walked in and I knew God made me wait (2months) for a reason! I was blessed with this beautiful 2010 Buick Lacrosse and I wanna thank Steve and Wendy for contributing to my blessing! My children and I...are beyond thankful! Thanks again Steve! 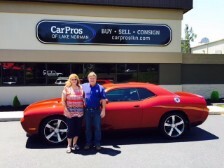 Loving the Challenger, I have had so many comments about the color. Drove down to Pensacola FL, got 41MPG! Go Diesel!! You guys are awesome! And no, Wendy, I didn't sleep in it last night...but I came awfully close. 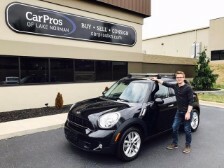 I do believe that Car Pros of Lake Norman is about a good business. Steve promptly contacted me. No pressure, and was very helpful. 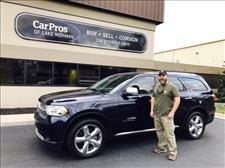 He clearly understands the car buying experience with his strong background working in dealerships; however, his business model offers less pressure and is more customer-focused. He answered all of my questions, provided plenty of information, is very open and addressed any issues I had quickly. I highly recommend Car Pros. I'm loveing the truck, by the way. Thanks again For helping us out! 5 Star Facebook review: Excellent, reliable service. Got exactly the vehicle I wanted at a great under-market price, and it even came with more features than I was looking for. 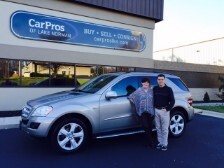 Buying from Car Pros Lake Norman made the nerve-racking idea of purchasing my first car an enjoyable experience. Couldn't have imagined the process being any easier. 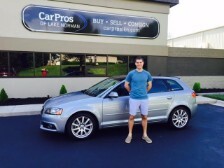 5 Star Facebook review: I wouldn't have wanted to buy my first new car from anywhere else other than Car Pros! 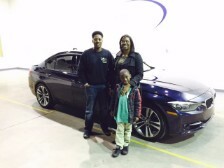 The experience was easy and friendly! I thought car buying was supposed to be hard. It's not dealing with these guys! 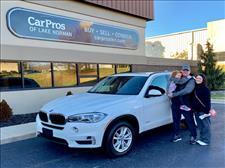 I love my BMW, Thank you! I am pleased with the truck. 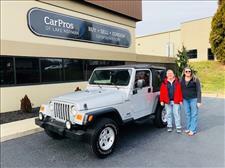 STEVE It Runs great and looks marvelous You will get more business from me and my recommendation to all whom inquire about the outstanding service you have. Thank you. Corresponded with Steve Lawson via e-mail than finally met him in person. 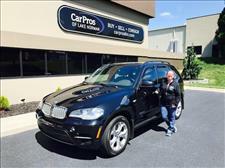 Excellent salesman, fair, honest and a true professional! Establishment was very clean and well organized with a comfortable, relaxing environment. 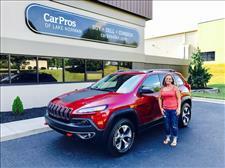 Unlike popular dealerships I wasn't "ambushed" by a salesman after I pulled into the lot! Great work! 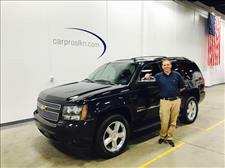 Steve was very professional & knowledgeable.